In this pericope, Jesus is proclaiming the blessings of his reign to those gathered around him on the mountain. His words address a repentant, lowly people with the assurance of God’s presence and reign over them (in Jesus: Immanuel) and the promise of eschatological blessings. These blessings which are yet to come are so rich, profound, and complete that they invite Jesus’s lowly hearers into present joy, hope, and transformation of life. 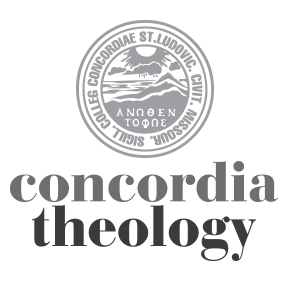 For helpful exegesis of and theological reflection upon these beatitudes, see Jeffrey A. Gibbs, Matthew 1:1–11:1 (Concordia Commentary; Saint Louis: Concordia, 2006). Scriptural texts which offer important background or shared themes include Psalms 24 and 37; 1 John 3; Revelation 21–22; and Matthew 1–4, especially the temptation narrative in 4:1–11. This text is appointed during Epiphany because it reveals the nature of the divine reign which is breaking into human history in the person of Jesus. In Matthew’s Gospel, Jesus’s kingship has been a prominent theme through the first four chapters. In chapter 1, Jesus is called the “son of David” (1:1) who is then described as τὸν Δαυὶδ τὸν βασιλέα. In chapter 2, the magi come asking “Herod the king” (2:1) the question, “Where is he who has been born king of the Jews?” In chapter 3, John the Baptist proclaims, “Repent, for the kingdom of heaven has drawn near” (3:2). John further specifies the nature of this heavenly reign by tying it to the “one who will come after me” (3:11). In Chapter 4, the devil tempts Jesus on a high mountain by showing him πὰσας τὰς βασιλείας τοῦ κόσμου καὶ τὴν δόξαν αὐτῶν (4:8)—a kind of parody of the true king and the kingdom which he will proclaim on the mount in 5:1–12. Finally, in the verses immediately preceding this pericope, Jesus goes about proclaiming, “Repent, for the kingdom of heaven has drawn near” (4:17) and preaching τὸ εὺαγγέλιον τῆς βασιλείας (4:23). “If ‘the reign of heaven/God’ stands near, then the God of heaven has come down to reign, to perform his kingly deeds. Thus, the reign of God is not primarily a place. Rather, it is a divine action that occurs where Jesus is, through his words and deeds” (Gibbs 48–49). Present and Future. Matthew 5:3b and 5:10b bracket the other blessings with a repeated, present tense assurance: “… for theirs is (ἐστιν) the kingdom/reign of heaven.” Jesus’s other declarations here are generally future passive, implying God’s action for the people on the last day. (“They will inherit the earth” in 5:5, while grammatically future active (κληρονομήσουσιν), is conceptually passive. “They will see God” in 5:8 likewise seems an exception, but might be understood as “… will be permitted/enabled to see God.”) Jesus’s words, then, stand as a two-fold proclamation to those who are spiritually poor and lowly: “First, you should know that Jesus, God’s appointed king, has come for you and is already now with you and reigning over you. Second, in spite of present weakness and struggles, you can trust that the day of the Lord is coming and that he will act decisively for you on that day. He will comfort you (v. 4) and give you a share in the eternally-renewed earth (v. 5). He will give you the satisfaction of justice, things being “made right” for you and others (δικαιοσύνή, v. 6). He will show you his mercy in the final judgment (v. 7). He will give you the privilege of seeing him in his glory and beauty (v.8). He will own you as his own child (v. 9). Faith, endurance, and joy. These are the chief responses which the rhetoric of the Beatitudes solicits. Jesus’s declarations here do not summon his hearers to strive for poverty of spirit, lowliness, etc. Instead, he addresses those who, in part by his earlier preaching of repentance, find themselves to be spiritually helpless, without status and without excuse before God. Jesus proclaims the good news that he has come to be a gracious king precisely for such helpless, empty-handed sinners. From “they” to “you.” The first eight blessings are spoken in the third person, but the ninth changes to second person address: “Blessed are you (plural) when they revile/insult you … because of me.” While this change may represent only an oral cue that a list is coming to an end, it may also function to invite “outsiders” to see the promises of Jesus and his reign as their own. For the hearer, “for them” has suddenly become “for me.” This change in address, then, may add rhetorical emphasis to this last blessing (5:11–12), which would also serve to highlight the desired response to this blessing and the Beatitudes as a whole: Χαίρετε—Rejoice! Introduction: Jesus has come to reign as king. But Jesus, the Son of David, the king (Mt 1). He has come to bring near the reign of God (Mt 4:17, 23). To whom does Jesus bring his blessings? Those left hungry for justice in the world. When will the blessings be given? He has come near and reigns over us already now. The focus and fullness of his kingdom promises is the last day. And so we watch, we endure, we rejoice—showing mercy and making peace.